We’re big fans of compost. A core practice in organic farming, composting helps reduce waste on the farm. It also creates a valuable byproduct that helps boost soil fertility and plant health. At Rodale Institute, we have a full-time staff member dedicated to creating, researching, and educating the public on all things compost. Rick teaches workshops and webinars on backyard composting, vermicomposting, and compost science. He’s also part of a mentorship program through the United States Composting Council (USCC). 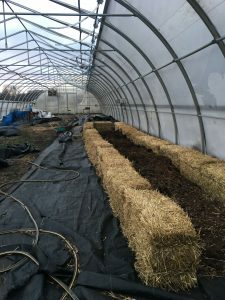 Read on to learn about the USCC’s program and this year’s mentee, a professional vermicomposter who will work with Rick over the next six months to deepen his knowledge and improve his composting business. Want to be a mentee? Apply for the Young Professionals Mentoring Program here. For the fourth year, the U.S. Composting Council (USCC) invited mentors with professional business experience in the compost manufacturing and collection industry to participate with a mentee, a young professional college graduate or industry employee, to apply for the Young Professionals Mentoring Program. The Rodale Institute is pleased to announce that Rick Carr, Compost Production Specialist, and Luis Chen, Founder of Wormies Vermicompost, have been nominated for the Mentoring Program. Over the next six months, Rick Carr will be mentoring Luis Chen on a variety of topics in order to improve composting operations, organics collection and hauling, and entrepreneurship. Mr. Chen is originally from Panama and moved to the U.S. in 2005. Seven years ago, Mr. Chen decided to make a career change from accounting to farming and his first farming opportunity was to manage compost operations on a 10-acre organic farm in Canada. During that time, Mr. Chen developed an interest in composting and began learning all he could about the composting process and industry. When he returned to the U.S. he took an interest in vermicomposting and founded his current company called Wormies Vermicompost in Grand Rapids, Michigan. The company collects about 500 pounds of food waste a week from local residents and business establishments and then composts the waste with leaves in aerated static piles. After a couple of weeks the partially composted material is placed in windrows for vermicomposting. The entire process takes about 3-4 months; after which, the finished vermicompost is sold to markets, hardware stores, and a few other outlets. Mr. Carr’s experience with composting began in 2008 when he entered the Master Composters of Tompkins County outreach and education program offered by Cornell Cooperative Extension in Ithaca, NY. From there he developed a broader view on composting and the benefits of using compost, where composting is not only a tool for managing organic wastes but has numerous benefits for plant production. When having to decide between forest pathology or compost science for graduate studies, Mr. Carr chose the latter. Research for his Master’s Degree examined the mechanisms of biologically-based disease suppression, particularly compost and vermicompost. That research has been presented at previous USCC Conferences and published in peer-reviewed journals. The majority of Mr. Carr’s graduate career was spent in the laboratory but he often made time to volunteer with Master Composters, either as an educator or trainer, and also had the opportunity to complete the 2010 USCC Compost Operations Training Course at SUNY Cobleskill. Additionally, Mr. Carr co-founded the CRT (compost, recycling and trash) group of Ithaca, NY to increase diversion of organics generated at local festivals and events from the landfill. Upon completion of his Master’s thesis, he accepted a one-year position in Argentina to manage a large-scale composting and vermicomposting facility. He was responsible for generating materials, application, and evaluation. It was in Argentina that Mr. Carr first gained experience with large farming/composting equipment. 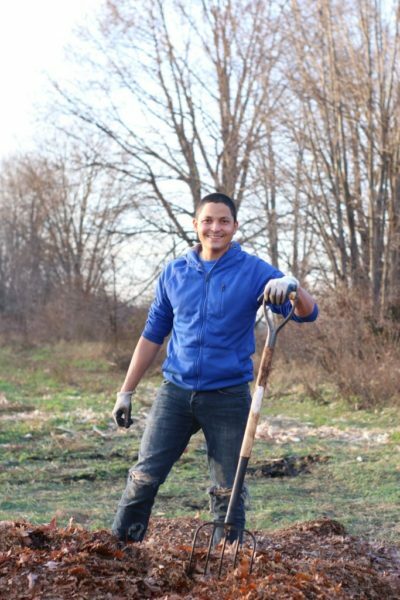 When he returned to the U.S., he accepted his current position at Rodale Institute as the Compost Production Specialist and part of the research staff. 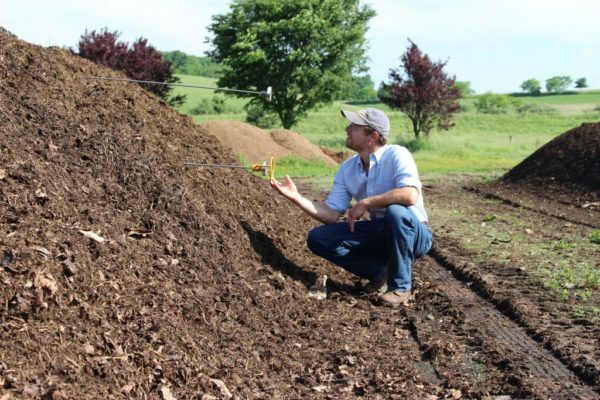 Approximately 30% of Mr. Carr’s time is spent managing organic wastes from Rodale Institute’s 333-acre research farm, including those received from off-site, and converting those wastes into compost certified for use on organic land. His duties also include outreach and education, data collection and analysis, and preparing certification reports and outreach documents. The remainder of Mr. Carr’s time is dedicated to various research projects and farming operations. He has been with Rodale Institute since August 2013. The USCC Young Professionals Mentoring Program is a six-month program and participants are required to meet 1-2 hours a month. Mentors must be members of good standing in the USCC and be actively employed in the compost manufacturing/organics recycling/compostable products fields. USCC membership is not required for mentees at the time of application, but is strongly encouraged by the end of the six-month mentoring period. Mentor/Mentee pairs can choose their meeting schedule and format (phone, skype, in person, email, etc.) and are encouraged to make an in-person “capstone” meeting at the annual USCC COMPOST 2019 conference in Phoenix, AZ. Mr. Chen and Mr. Carr have entered the Mentoring Program with specific goals in mind. Mr. Chen hopes to learn, “some of the ‘know-how’ from someone who has already been on the path of starting a composting operation focusing on food scraps diversion,” while Mr. Carr would like to instill advice that has influenced and guided his career over the years, particularly that “composting is a philosophy and there is a bigger picture to it than just processing organic residuals into a rich soil amendment.” Over the next six months the pair will discuss how to improve operations through efficiency, processing systems, innovation, data collection and documentation, and how to use compost science as a tool for characterizing and marketing finished material.